WordPress turned 10 years old in 2013. Due to its ease-of-use and versatility, its growth and adoption over the past decade is nothing short of phenomenal. It’s no wonder it’s the most popular go-to platform on the World Wide Web. As of 2011, over 100,000 new WordPress sites are created every day. As of December 2013, there are 73,589,798 WordPress installations in the world. Over 403 million people view more than 14.6 billion WordPress pages each month. WordPress users publish about 35.8 million new posts and 53.7 million new comments each month. 7.5% of the adults in the U.S. own a WordPress site. If the rest of the world embraces WordPress as the U.S. has done, it will be more universal than the Spanish language, which is spoken by 6.78% of the world’s population. There is one WordPress site for every 101 people in the world. 38.3% of the all the WordPress sites are own by people in the 25-34 year old age group. More impressive is the fact that 38.6% of WordPress sites are owned by people who are 55 and over. These are some fun facts about WordPress, the most popular software platform in the world. 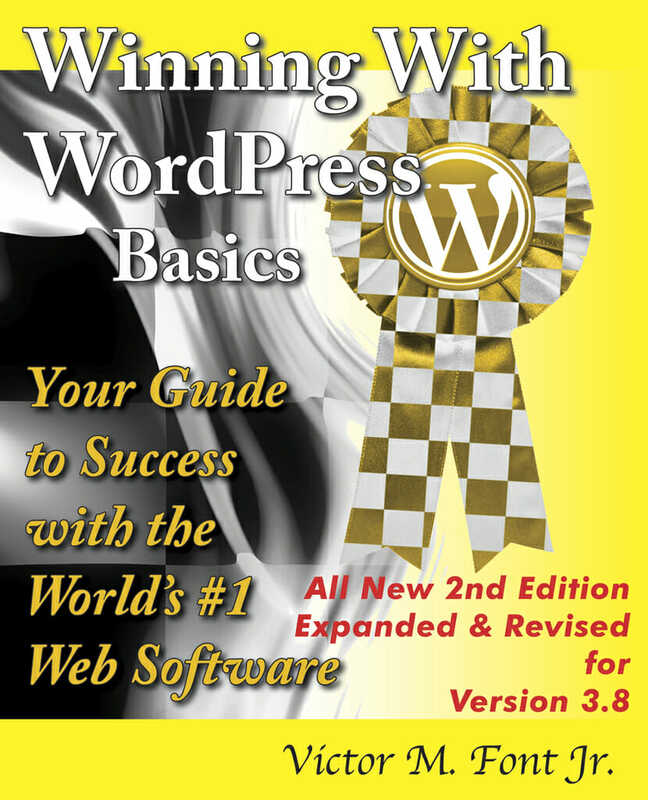 You can find these and much, much more in the latest release of Winning With WordPress Basics 2nd Edition.